These photos are of the children in Pebble Mill Nursery, taken in winter 1991/2. The Nursery occupied a former sports pavilion on the Bristol Road, just round the corner from Pebble Mill. There had been a Pebble Mill Nursery in the 1970s, but that closed, to be re-opened in the late 1980s. The second Nursery remained until the building was emptied in 2004, although it had to move to portakabins in the car park, due to the pavilion site being cleared. The Nursery was run by Pauline, who did a brilliant job, along with her deputy, Sarah. Many of the girls who worked at the Nursery stayed for years, because it had such a good atmosphere – both for children and staff. As you can see from the photos the children used to play outside on the disused tennis courts. 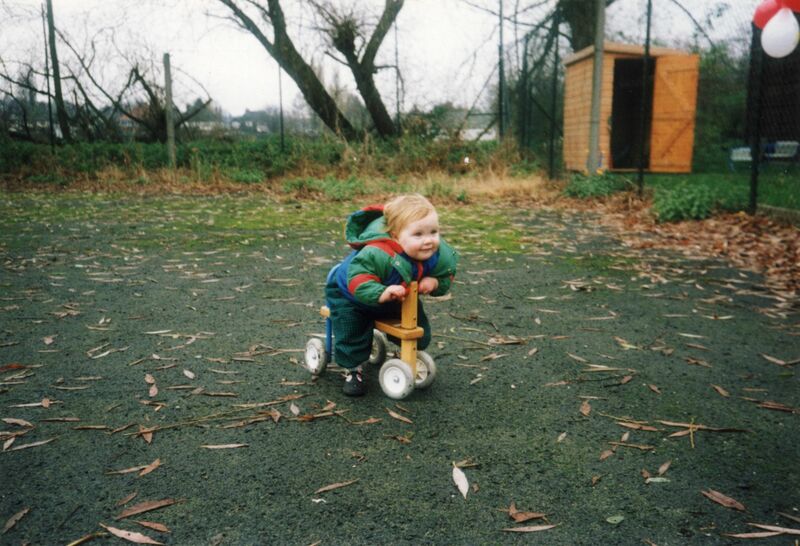 My daughter, Hattie, is riding the tricycle in the second photo – it was her 21st birthday last week! She started at Nursery at 18 weeks old. I can’t be sure about the other children, but I think that Charles White’s son is on the bike, and probably Ruth Barretto’s daughter on the little trike. Please add a comment if you can identify the others. 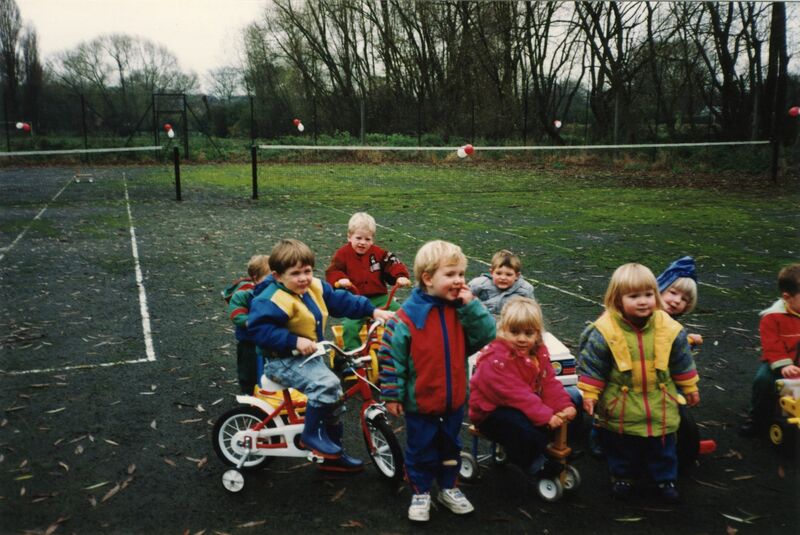 Henry White, my son is in light blue at the back – also in the picture are Michael Kretzmer’s son (Josh? ), Pat Murphy’s daughter (blue hood peeping), these were all the first batch at the nursery.